“Formidable.” If I had to choose a single word to describe her, that’s the one. My father’s mother married at age 16 and raised five children through extremely tough economic circumstances. She was a strong woman who kept a household running while her husband was on the road for two years looking for work. Altoona, Pennsylvania during the Depression was not the worst of desolate, hardscrabble places, but it was pretty danged close. Even the Pennsylvania Railroad (which created Altoona as a company railroad shops town in 1849) could not keep all of its workforce employed, including my Grampa Morgan. 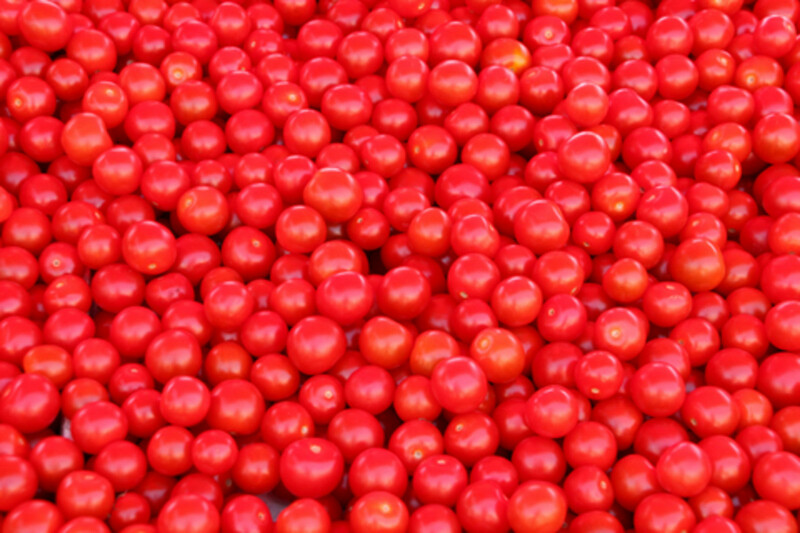 Consequently, many of Gramma’s treasured recipes reflect her stringent stretching of a dime. This strategy allowed her to make enough food to fill the bellies of growing children. Yes – I kid you not. 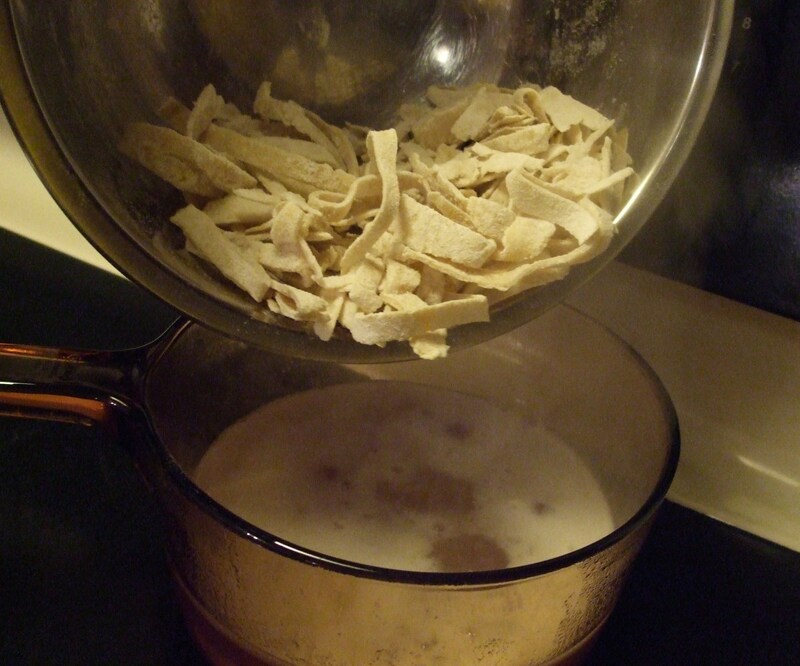 A few of us granddaughters asked Gramma to teach us how to make her noodles. She pulled out an old well-loved ceramic teacup that she used to measure her flour. We had to stop her in her tracks to determine the conventional American unit of measurement. It worked out to 7/8 of a cup, which can be measured as ½ cup plus ¼ cup plus 1/8 cup. 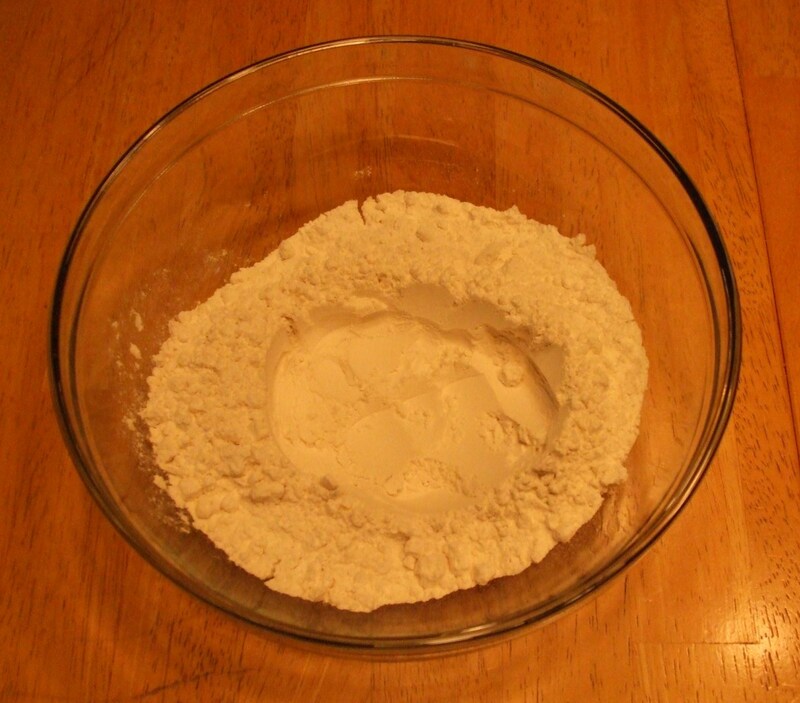 If you must err on one side or the other, use slightly less flour. ¼ teaspoon of table salt -> the white stuff, conventional sized grains. Not fancy sea salt. 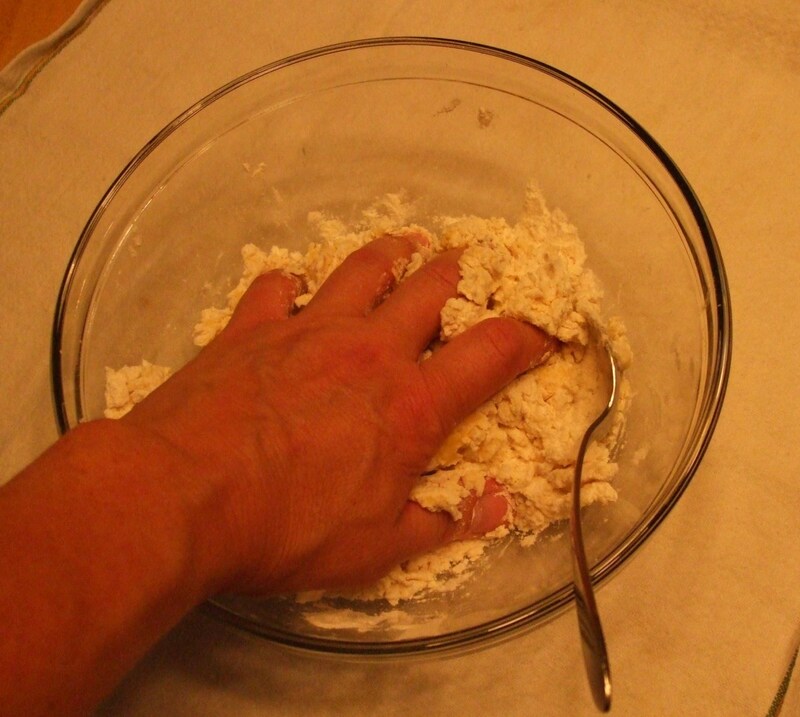 Put the flour and salt in a medium bowl and mix with a spoon. Use the spoon to form a depression in this dry mixture. 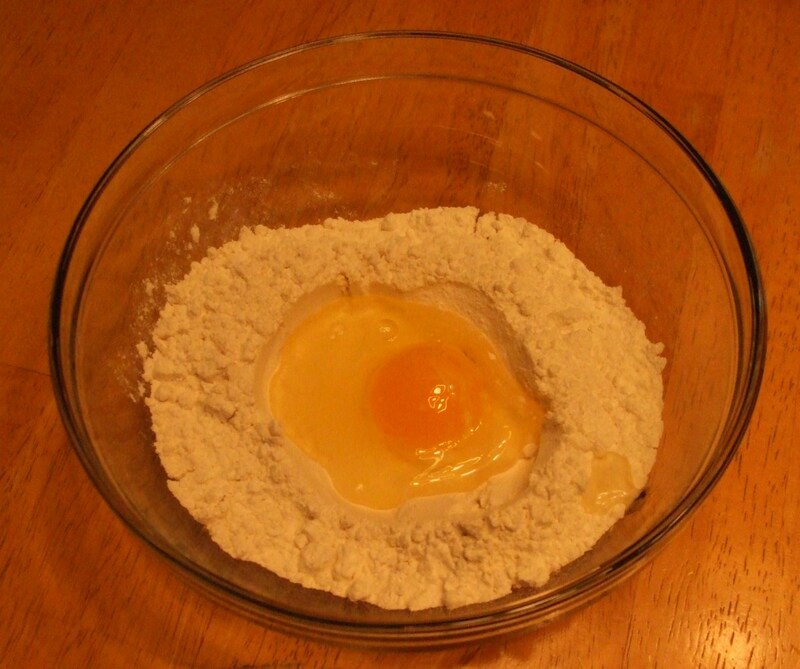 Break the egg into the center of the flour-salt mixture. 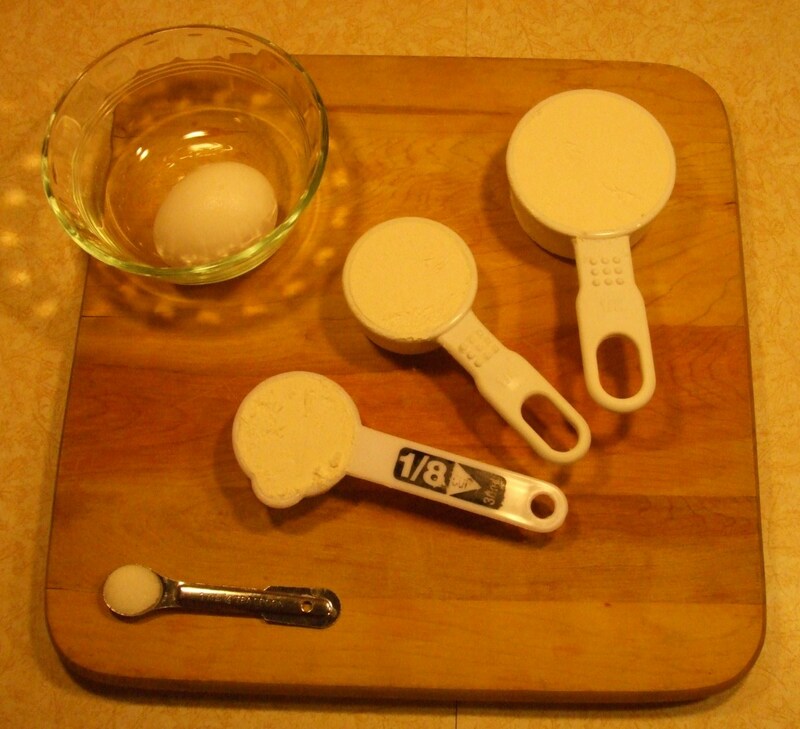 Use a spoon and your clean hands to work the flour into the egg gradually. It makes a STIFF dough. 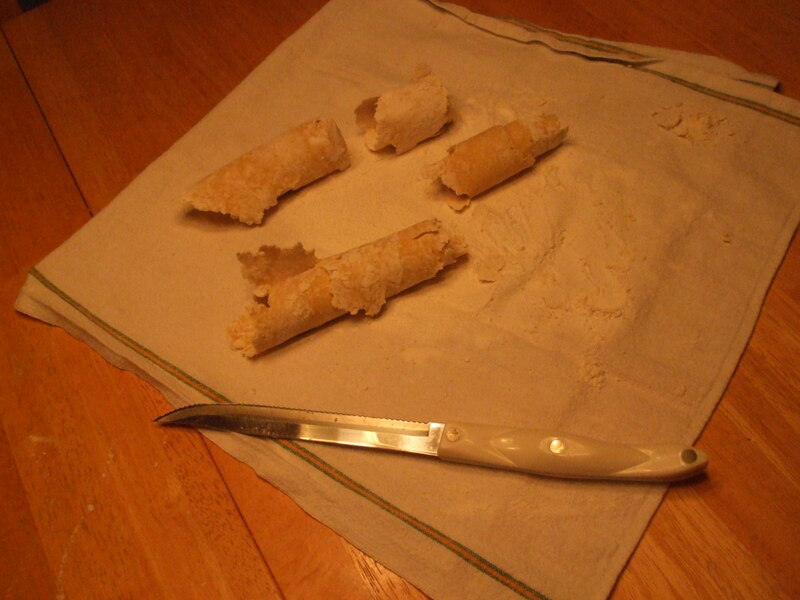 In one or two parts, use the rolling pin to roll the dough as thin as possible. It should be as thin as cardboard. 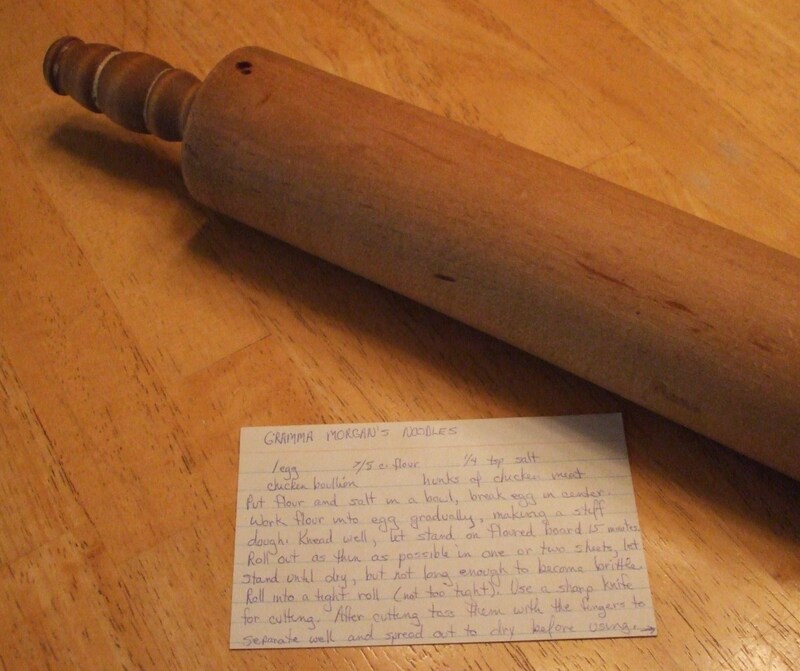 I need to put my entire body weight into the pushing of the rolling pin to achieve the desired thinness. 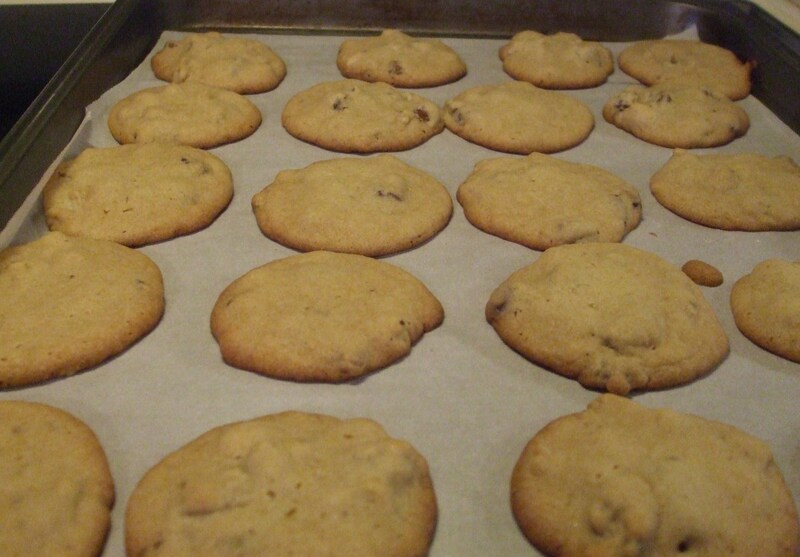 Let these dough sheets stand to dry more (about 30 minutes) but not long enough that it becomes brittle. I love the way my rolling pin with ball bearings goes smoothly and uniformly over dough. After cutting these pinwheels, toss them with the fingers to separate well and spread out to dry before using. Waiting a few hours up to 24 hours is fine. Then prepare the pot with chicken broth and pieces of chicken meat if desired. bring to a full boil. 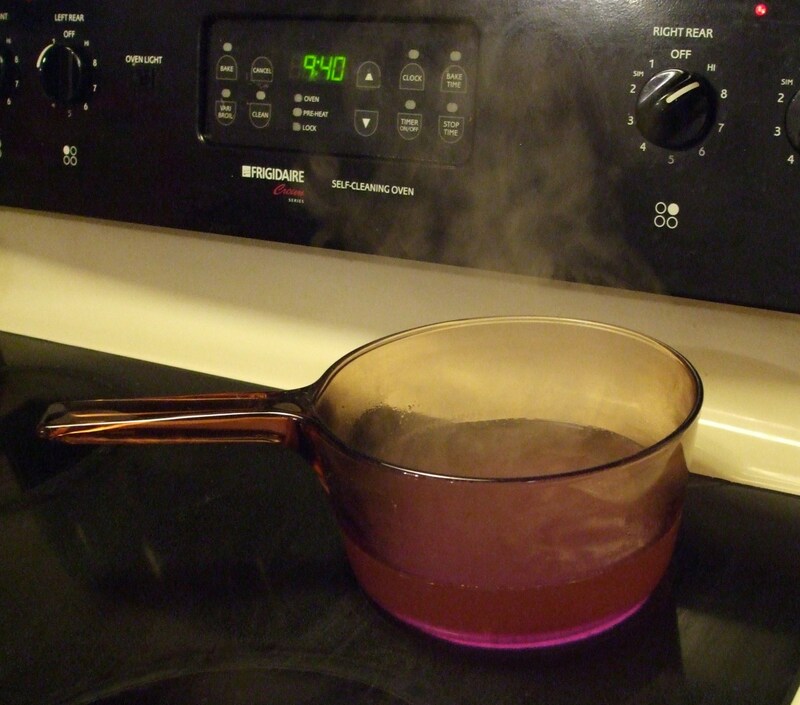 Drop the noodle strips into the boiling broth 10 minutes before serving time and reduce the heat to a simmer. 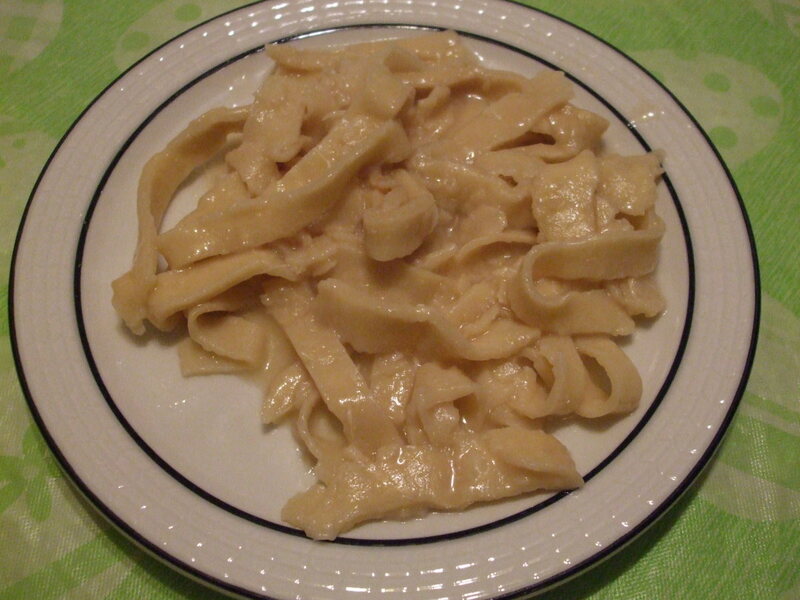 These are plain, old-fashioned Depression noodles. Personally, I would add carrots, onions, and spices to the broth. 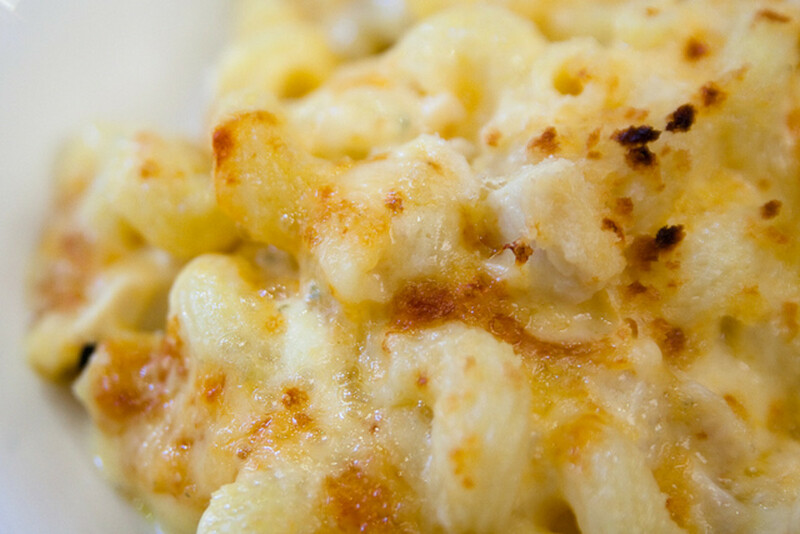 However, for a basic building block in the pasta realm, this is a solid recipe. An occasional step back in culinary time may be useful. 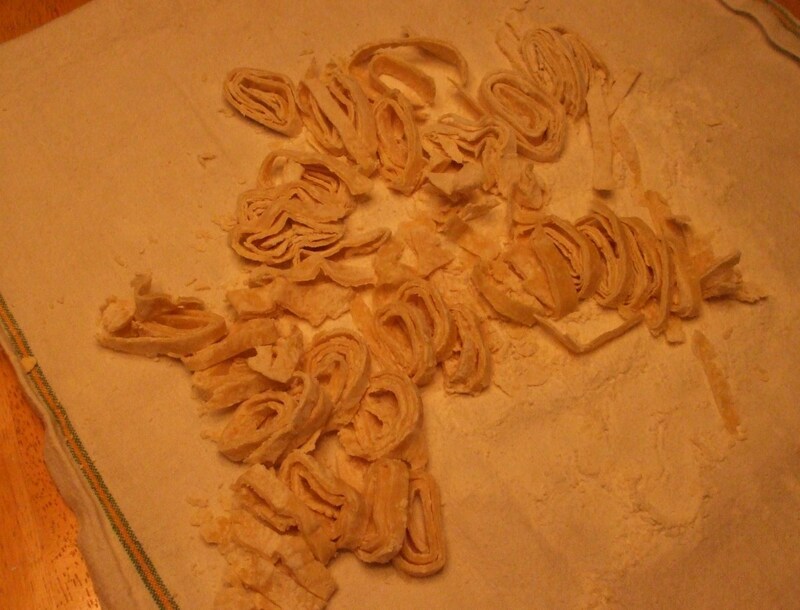 This recipe for homemade noodles is heavy on the white fiber-less flour, but empty on the BHA and preservatives (unless it is in the flour.) It may be a good thing to use for filling family meals. It certainly warms my heart to remember it. 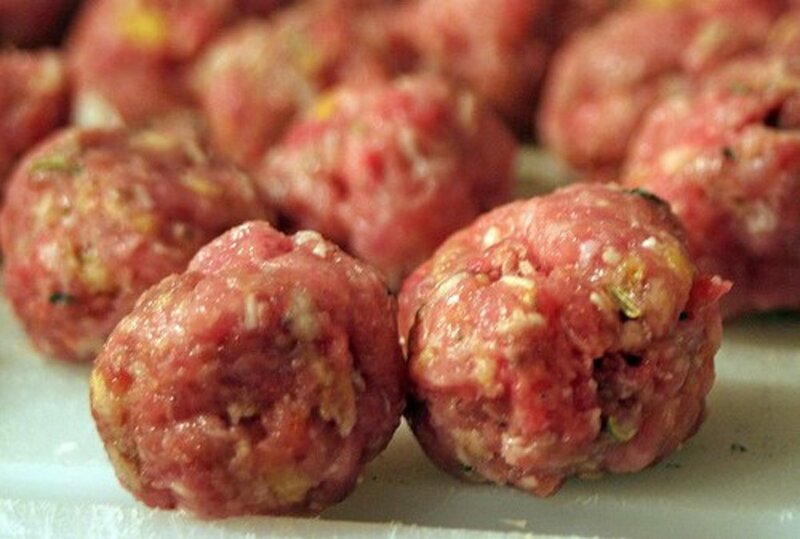 I have this recipe, it came from my maternal grandmother. 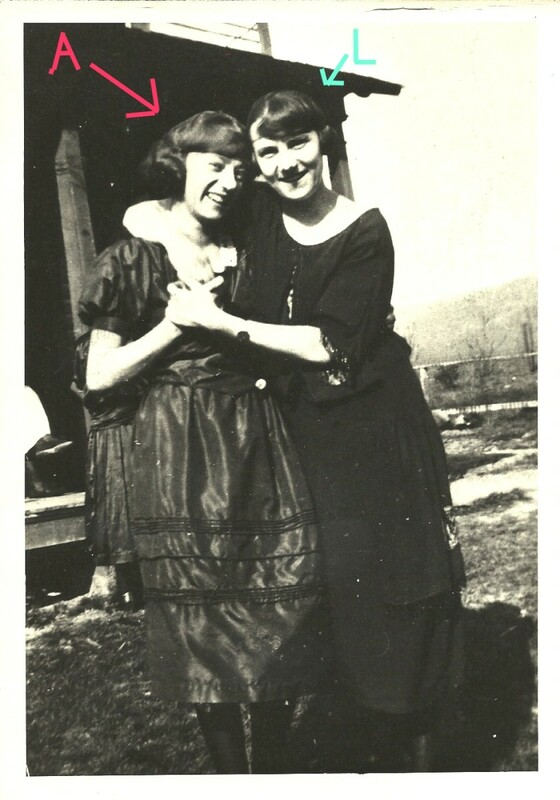 My grandparents were married in 1935, her father was a poor sharecropper. Thanks, RTalloni. My experience in substituting whole wheat and other flours in cookie and bread recipes is that the dish is drier. I don't know if the whole grains soak up more moisture or what is happening. 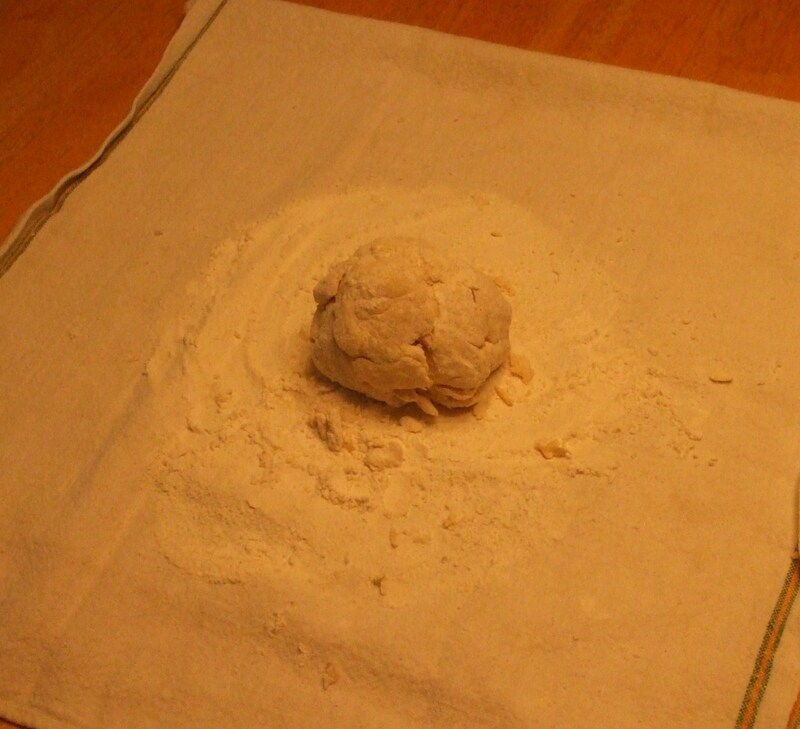 Therefore, I'd suggest that you reduce the flour amount or add a few drops of water to get the dough to behave. The dough gets VERY, VERY stiff. Love it--both the hub and the recipe. :) Never knew it could be this simple. I want to try this very one sometime, but I also want to experiment with other flours in this recipe. Thanks much! Voted up and bookmarked.